As chief of the Ellsworth Police Department and with more than 15 years of law enforcement experience, I support LD 1312, a strong red flag bill currently before the Maine legislature. Red flag laws empower law enforcement officers and family members to seek an Extreme Risk Protection Order, a court order temporarily restricting a person’s access to guns when they pose a risk to themselves or others. Mainers may think our communities are immune to the tragic gun violence that makes national headlines, but that’s just not true. Last year, I was contacted by the Federal Bureau of Investigation to alert me to threatening statements made on the internet by a local resident. A young man had threatened to shoot students and staff at Ellsworth High School. Not only that, he had expressed a desire to recreate the horrific massacre in Parkland, Florida, that had happened less than a week prior. Many mass shooters display warning signs prior to committing their violent acts, and this troubled young man from Ellsworth was no different. He had a history of run-ins with local law enforcement and faced recent disciplinary action in school before issuing his threats. During the course of our investigation, we learned that the young man had access to firearms. But despite the threat, we did not have a legal mechanism to remove the weapons from the residence at the time. Short of a felony conviction or an involuntary committal, Maine law enforcement officials currently have no way to intervene to limit access to firearms in incidents such as this. Had we been able to seek an Extreme Risk Protection Order at the onset of this case, we could have temporarily removed the weapons from the home until we determined that a threat no longer existed, offering a greater confidence in community safety. Fourteen states — including Vermont last year — have implemented this policy to bring increased public safety. In the U.S., nearly two-thirds of gun deaths are suicides. However, in Maine, 88 percent of all firearm deaths from 2013 to 2017 was the result of firearm suicide. On average, one Maine resident dies by suicide by gun every three days. This is unacceptable. This year the Ellsworth community was rocked by another incident in which a student with access to a firearm died in a self inflicted gunshot. When a person is in crisis, loved ones and law enforcement are often the first to see signs that they pose a threat. 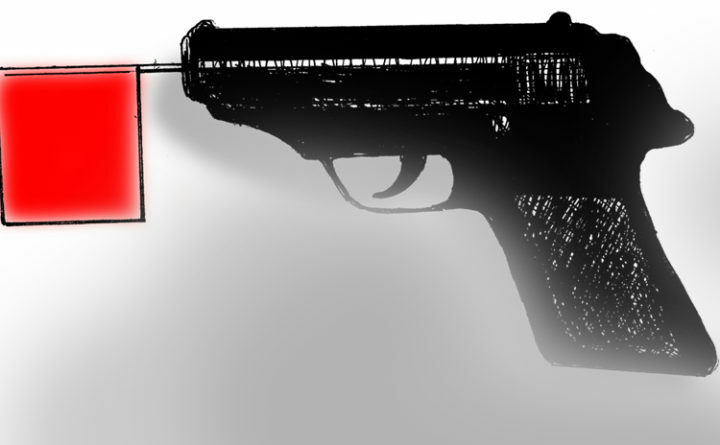 Red flag laws allow them to seek help from a court to remove guns from dangerous situations. LD 1312 would provide, through regular due process, the ability for law enforcement and immediate family members to seek a court order should people fear the worst about an individual or loved one. If a court finds that a person poses a significant risk of injuring themselves or others with a firearm, that person is temporarily prohibited from purchasing or possessing guns and is required to turn over any firearms they currently own while the order is in effect. Long-term orders are issued only after the person has an opportunity to respond to evidence at a hearing. LD 1312 states that this initial court hearing must be scheduled within 14 days of the filing petition to ensure the person has an opportunity to respond to the evidence in a timely manner. If enacted, this bill would provide a critical tool to law enforcement to protect communities while affording due process protections to those for whose protection the order is sought. I strongly urge the Maine legislature to pass LD 1312, a solid, comprehensive red flag bill, and provide law enforcement and the public with this life-saving tool. Glenn M. Moshier is chief of the Ellsworth Police Department.